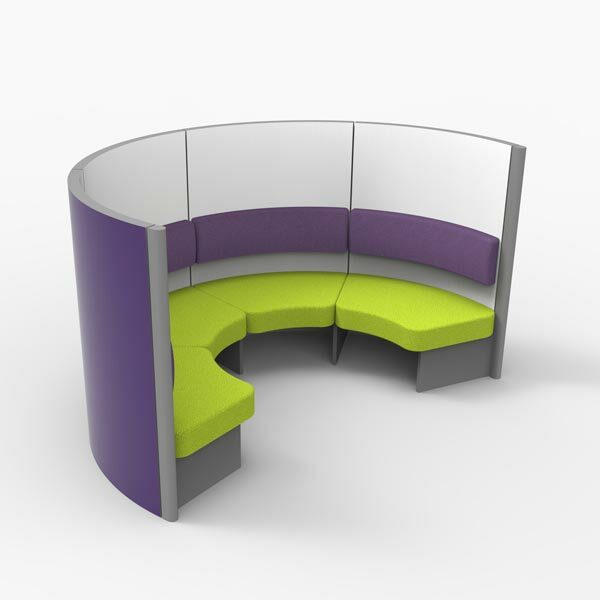 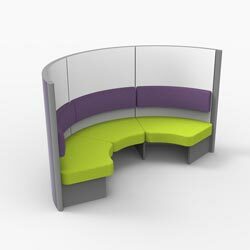 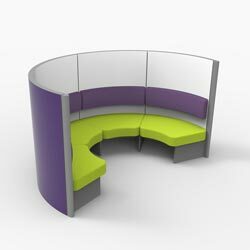 The Cadiz range of pods are ideal for group learning, short period touchdown working or somewhere to have a breakout session. 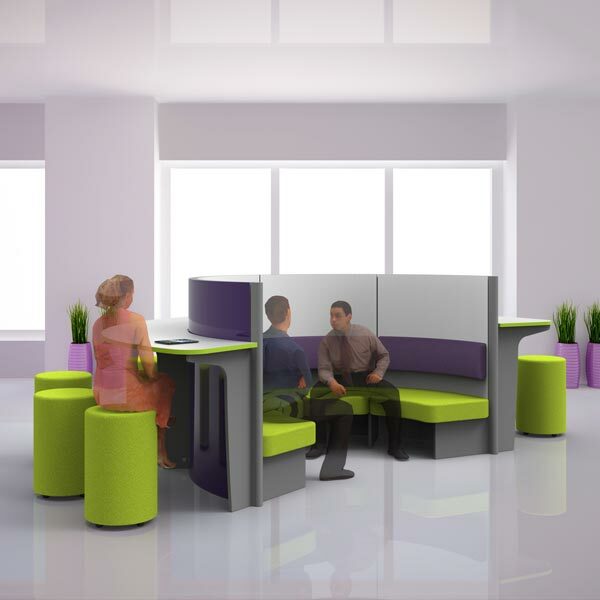 Within a relatively small footprint the Cadiz range of products offers a multifunctional product equally at home in a large atria as in the middle of a busy office. 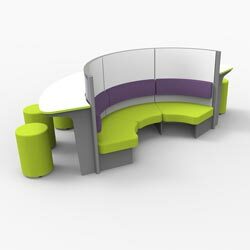 The Cadiz range is a scalable range of products that can be extended or reduced in size to suit individual needs. 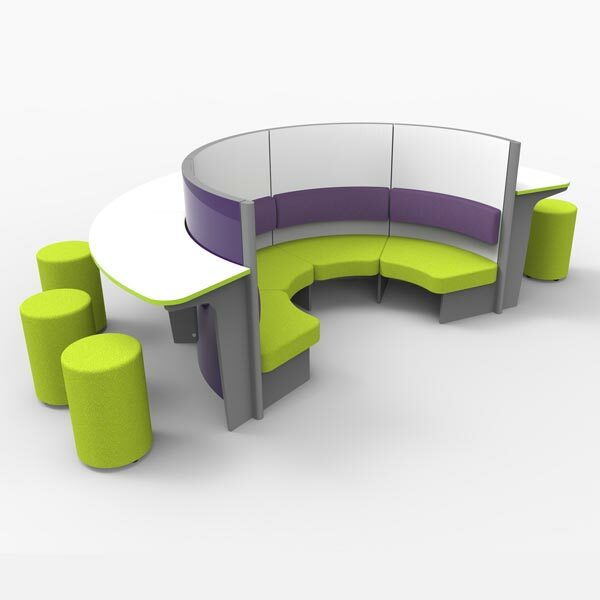 A wide range of additional furniture components can be added to the range to give the Cadiz products much more functionality.